The Original Third Brake Light Drill-Free Mount. Perfect for Fleets or Single Vehicle Applications. Mount Mini Bars, Beacons, GPS, Antennas and More! to choose what will best fit your job. Designed to Fit Trucks with Cab Height Toppers. Use our system to mount Mini Bars, Beacons, traffic advisors, antennas, gps…All without damaging your truck. 100% Made in the USA. All of our products are all backed with a 1 year warranty. Eliminate Lease penalties, rust, scratches, exposed wires, and drill holes. Our original patented clamp design gives you the most secure and sturdy rooftop mount. There is truly nothing on the market that can compare. Install your roof top accessories effortlessly with our revolutionary clamping system. No removing headliner, Wires enter through third brake light opening. Get your truck set up and back on the road faster. Designed for Fleets, Plows, First Responders, Public Works, and many more. 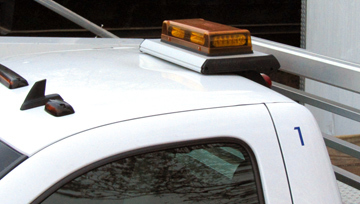 Roof Top Mounts are engineered to be vehicle specific, and are available for most late-model full size pick-up trucks. With three model styles and sizes, find the Acari that will best fit your needs. ACARI LP NOW AVAILABLE IN STEEL! 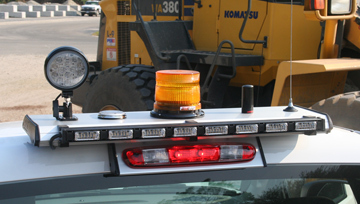 Using our patented clamping system, the customer is able to mount light bars, beacons, antennas, GPS, etc. without drilling into the roof of your truck. This makes for a simple install and a headache free process. Perfect for fleets or single vehicle application. Pre-assemble with rooftop equipment for faster & simplified install. Reduce shop time, lease penalties, and reinstall same mount onto next years model. Drill into our mount and leave your truck in mint condition. 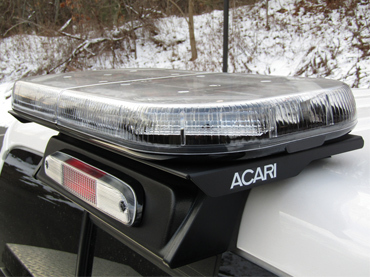 With support from our customers Acari Products has been able to provide a one of a kind roof top mounting solution that has assisted over 300,000 in the work truck industry, and we look forward to keep doing so in years to come. But don’t just take our word for it! Read some consumer reviews below. Very good product, fit well as described, shipped the same day. Very happy with the product and the dealer. Excellent mount! Used the longer frame model to install a mini Liberty on a 15 F150 and went flawless and looked wonderful! Excellent mounting platform. Awesome product! Highly recommended for anyone looking for a great fitting rack and simple installation.